She looks pretty good for 58, doesn't she? Barbie and I are the same age, born only about a week apart. Call me jealous, but I think she has had some "plastic" surgery over the years!?! Everyone has varying opinions about this iconic doll. I am a Barbie girl at heart. 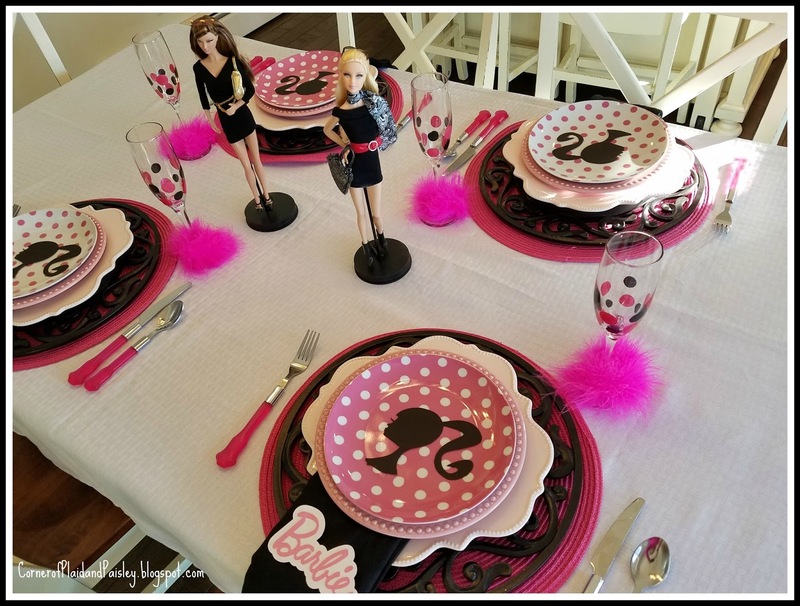 All the girls in our neighborhood would get together and play Barbie's all day long. We often made her clothes, or furniture and cars out of boxes, we got very creative. I'm not even sure if there was such a thing as a Barbie DreamHouse back then. 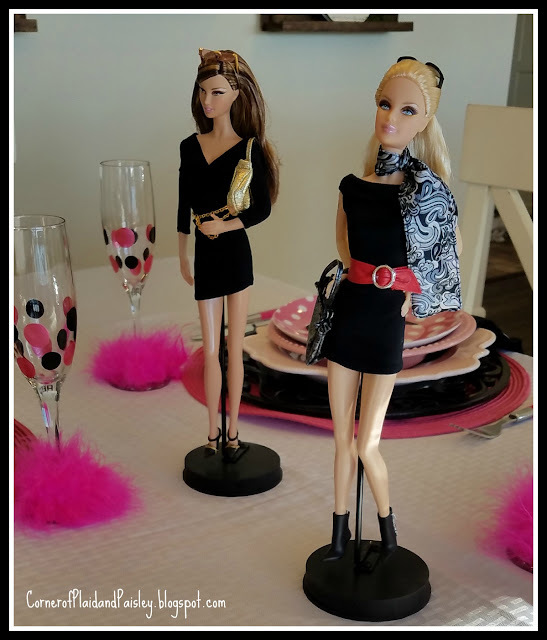 To us Barbie was just fun!! When I grew up I had the pleasure of working for Mattel Toys for many years as a retail service representative and was fortunate enough to be able to work with their trade services department at many of their trade shows. When I retired two years ago, my boss made those fun champagne flutes for my retirement dinner! I hope you enjoyed this fun little birthday tribute to a real doll! I remember getting my first Barbie Ann, I was beyond thrilled! Back then they didn't make the hundreds of different ones available now, it's mind blowing. My granddaughter just got her first one, she's 4...she is fascinated but still loves her baby dolls too. 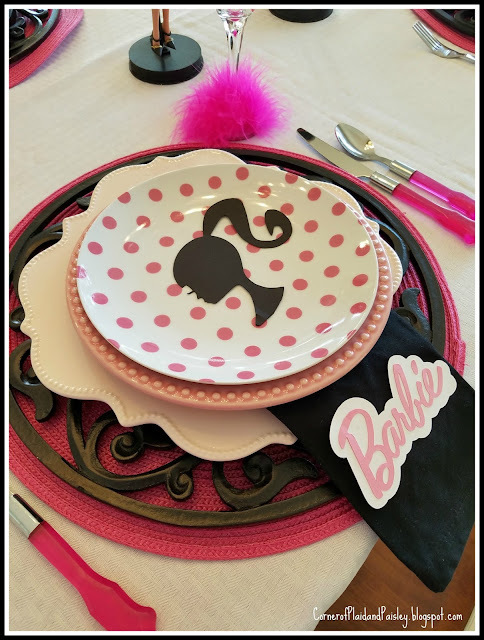 Happy Birthday Barbie! 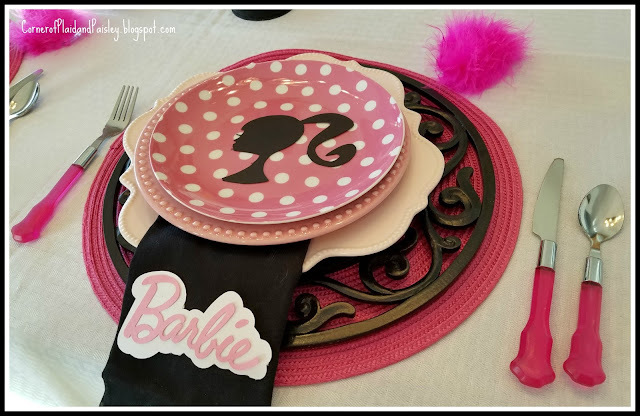 I LOVE your Barbie tablescape.....how creative and fun!! It brought back lots of good memories of the days of playing with Barbie's!! Thanks for sharing...Happy Friday!